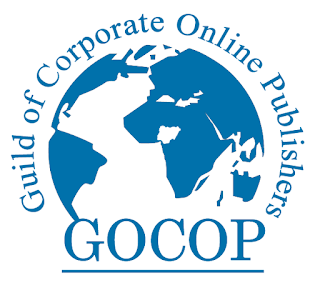 The Guild of Corporate Online Publishers (GOCOP) has said, its first annual conference would hold on Thursday, August 10, 2017 at Renaissance Hotel, Isaac John Street, Ikeja, Lagos State, reports ITRealms. According to him, the theme of the conference would be tackled by speakers from the angle of their professional calling, with the media as a core focus. Iyanda said, there would be two key note speakers to give an overview of the topic before key players in all sectors, both the public and private, would share their experiences with the audience that are of varied backgrounds. One of the keynote speakers, he said, is a university teacher, Prof. Akin Onigbinde, who brings experiences into play, including that of overseeing some companies. The second keynote speaker, he said, is the Editor-in-Chief of the News Agency of Nigeria, Bayo Onanuga, who also once presided over The News magazine. A former Managing Director and Editor-in-Chief of the Sun newspapers and now the Special Adviser on Media and Publicity to President Muhammadu Buhari, Femi Adesina; and the MD/EIC of New Telegraph newspaper and also the President of the Nigerian Guild of Editors, Funke Egbemode, will participate in the discussion. So also will several State Governors, Banks CEOs, Ministers and other big time players in both the public and private sectors speak to the topic of the day. Eminent speakers and guests from the public and private sectors will also speak at the conference, which will also witness the inauguration of a new Executive that will oversee the affairs of the Guild in the next two years. Iyanda said the list of confirmed guests will be made available soon. GOCOP is a non-governmental, non-partisan, non-profit making organisation for the highest strata of Nigerian media professionals in online publishing. Freetel, the Japan’s largest selling smart phone brand in open market has debuted in Nigeria with a partnership with TD Mobile, reports ITRealms. Freetel, ITRealms gathered, was founded in Tokyo in 2012 by few enthusiastic telecom experts with a vision to re-create the Japanese quality smart phones at affordable prices. Freetel has started expansion overseas since November 2015 in Asia, North America, Latin America, Middle East and Africa. 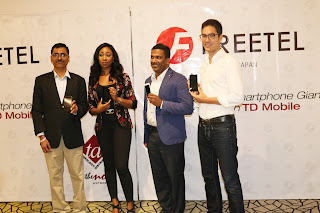 Freetel devices are available in 20 countries including two African markets; Egypt and Ghana. The Vice President, International Sales, Freetel, Eugene Yoshioka, said Nigeria is the focus market for Freetel, stressing that they are looking forward to reaching out to Nigerian consumers with its latest smartphones. “We plan to invest in the country with a full-fledged subsidiary to support sales, marketing and after sales support. We are glad that we are partnering with the most powerful and trusted partner of the region: TD Africa,” he said. Also, he disclosed that Freetel is planning to bring four Android Smartphones in the beginning priced from N13,000 to N38,000, pointing out that all Freetel Smartphones are designed in the state of art design center in Tokyo, manufacturing is overseen by Japanese engineers with over 40 years of experience and Google’s Mobile Services (GMS) certified. “All Freetel smart phones are Google’s GMS Certified and quality checked by Japanese engineering experts. The GMS Certification is the confirmation that a specific device meets Google's performance requirements and properly runs the Google Apps. A subsidiary of ICT distribution power-house Technology Distributions Ltd. (TD Africa), TD Mobile will add the Freetel brand to a growing list of international brands represented in line with its status as the biggest mobile devices distributor in the West African sub-region. Considering TD Mobile’s wide reach, distribution network and unmatched presence in major Nigerian cities and other West African capitals; the partnership will see the company deploy its latent capacity in taking the line-up of products from the Freetel stable to every action station in the metropolis as well as every nook and cranny in the hinterlands. In the words of Mrs. Ijogun, Managing Director, TD Mobile: “As a key driver of technology revolution in Africa, TD Mobile has always strived to bring the latest and best of technology products to Nigeria and the West African region by extension. According to her, Freetel and TD Mobile have entered into an exclusive partnership to bring Japanese Smartphones to Nigeria. Nigeria has a frightening history of precariously balancing herself on the cliff’s edge from time to time. And each moment usually comes with a fair amount of anxiety and numbing terror, such that it is only through the intervention of some supernatural force that the country has not gone the way of some chinaware smashed on a concrete floor. By October 1, 2017, the country will roll out the drums to celebrate 57 years of independence from its British colonizers. It survived a civil war, six military coups and eight military heads of states who ruled for a total of 29 years until the will of the people forced the soldiers to return to the barracks in 1999, with a cautionary note never to return to the political arena. Since the last seventeen years, the country has witnessed a succession of civilian governments produced from four general elections, the last being an unprecedented transfer of power from an incumbent government to an opposition party. But despite these seeming achievements, the national question has remained unanswered. Post-independence Nigeria is contending with a fierce centrifugal pull by popular and fringe tendencies tearing away at the soul of the world’s most populous black country. It seems that the restive elements would hardly be blamed for their actions. Successive governments have not been able to muster the leadership vision and statemanly discipline required to forge a nation from the diverse ethnic nationalities occupying the geographical space called Nigeria. Rather than strive to construct a proper federal state based on social justice, equity and merit, as envisioned by the colonizers and their local inheritors, otherwise known as founding fathers, the new crop of leaders have stubbornly stuck to a retrograde unitary arrangement imposed by the military since 1966. Thus Nigeria has remained in the backwoods of underdevelopment, pitifully existing not even anywhere near the shadows of countries like South Korea and Brazil with which she rubbed shoulders in the early days of independence. In this suffocating atmosphere of pathetic leadership, ethno-religious and regional anger is flaring, fuelling a renewed and more intense cry for a restructuring of the so-called federal republic, as well as strident agitations for a dismemberment of the country amid mutual sabre-rattling and hate speeches. Indeed, this moment is reminiscent of the eerie call in the mid 60s for a return to the homestead. For sure, for a particular ethnic group down south, this is the kind of tense situation that warrants an exigent call on those who aren’t moving to get off the way (B’o lo oya). This country has been in that frame of emergency for a long time. It has perpetually groped in the darkness it brought upon itself. Now, those who argue that we don’t have a country yet really have to be excused. At no time other than this moment does Nigeria need to heal herself of the pathologies that have held it down for decades. That can only begin by reinventing the country through a total redesigning of its architecture. And the place to start is the constitution. What Nigeria needs today is a brand new, people-driven constitution, not an amendment of an anti-federal, military-imposed 1999 constitution which is currently being operated. In the first place, the idea of amendment is odious as it has been repeated again and again to the point of becoming a cliché that the extant constitution is Decree 24 handed down by the military. And it’s not only that its originators are not known believers of federalism, they are also the least qualified to give the country a constitution that will guide it through its democratic journey. A democratic Nigeria cannot continue to rely on a military document, for the military cannot give what they do not have. That is why a constitution that originates from their regimented, command-and-obey mindset can only be nothing but a document full of useless unitary principles even for a multi-ethnic society. Therefore, by embarking on an amendment of a constitution of such massively flawed origin, a dubious document which politicians swore to defend but which the military never allowed them to see before assuming office in 1999, the National Assembly is only carrying out a futile exercise. It is no surprise that the purported amendment turned out a jamboree of self-service. The legislators have proved once again that their interest is more important than that of other citizens and the country. That is why they can afford to fiddle when the country is forever tottering on the brink. But what is more of a surprise is that even very senior lawyers who ought to know better have weighed in on the side of a hopeless amendment when they should be beating the drums for a fresh people’s constitution. These lawyers, and indeed all those who genuinely love this country, should let the legislators know that the way to go is not amendment, but by putting in place a law for a Constituent Assembly whose duty it is to draw up a constitution that will be approved by a referendum of the people. Anything short of that, such as the misguided exercise the National Assembly has taken upon itself, will escalate agitations and intensify the drums of war. In this game you must never threaten your opponent with death because once invoked the Angel of Death usually returns back to sender. I shall pray for Femi because I want him to live long and prosper. I knew that he was frustrated but I never knew he was a man of blood. I never knew that he and his leader believed in murder as a tool of governance. The truth is that God alone gives and takes life and whether they like it or not He guards His own jealously. The Bible says “touch not my annointed and do my prophets no harm” . Consequently no-one is intimidated by Femi’s implicit death threat. Femi mentioned the great Abishai who was a biblical hero in his own right and one of David’s strong men and allies. Abishai and David’s other strong men were courageous and righteous men who undertook a noble cause, who shed the blood of evil men and who fought against tyranny. Femi has done a great disservice to Abisha by mentioning his name in the same sentence as the cabal. I say this because he was a soldier of truth and a gallant man of honor. This is not the case with anyone in Buhari’s cabal. They are the opposite to the Abishai’s of this world. They are the darkness that seeks the darkness. They are desperate predators who drink the blood of their innocent victims and who feed on their flesh. They prey on the weak, they destroy the young and they torment and slay the old, the vulnerable, the defenseless and the weary. Buhari did not emanate from a righteous lineage or noble stock. He is not a child of light, a Prince of Zion or a son of the Living God. He does not have a noble heritage and neither is he a servant of the God of Abraham, Isaac and Jacob. He is not a David but a Pharaoh, a Sennacherub, a Herod and a Jezebel all rolled into one. He is a wicked, unforgiving, sadistic, bloodthirsty and vengeful Amalekite. He has no Abishai’s around him. He has no Joab’s, no Samuel’s and no Nathan’s either. He only has the Absalom’s, Haman’s, Judas’, Jezebel’s, Dalila’s and Ahitophel’s of this world in his inner circle and evil cabal. His spiritual foundation is nothing but garbage and that is the tragedy and weakness of his Presidency. That plus the fact that he does not know or fear the Living God and he does not respect the rights of the Nigerian people. If he did he would have resigned long ago and handed over full power to his number two, Professor Yemi Osinbajo. Finally Femi wrote “when Buhari returns home some people will bury their heads in shame”. He is wrong. The truth is that when and if Buhari returns home some people will prop him up and pretend that he is well enough to be President until he falls sick and goes back abroad again. It is called “corspsocracy” and it is defined as “the rulership of the living by the dead”. That is Nigeria’s biggest burden and challenge today. An ailing President who already has one foot in the land of the dead, who can never be the same again, who will NEVER return to be a full and active President yet who stubbornly refuses to step down and resign. Instead of telling us that his principal can “kill us all” and “chop off our heads” Femi should consider the monsters failings and chronic ill-health and advise him to resign honorably. That is what a real believer and a true man of honor would counsel his sick boss to do and not try to intimidate those of us that are in the opposition with blatant, vulgar and bullish threats of death and assassination. The path of blood is a dark and unpredictable one. I advise Femi not to take it. The Minister of Information and Culture, Alhaji Lai Mohammed, has declared that there is no going back on Broadcasting Code, reports ITRealms. According to the Minister, the Federal Government will not be stampeded into abandoning the ongoing efforts to amend the Nigeria Broadcasting Code to ensure the production in Nigeria of 'Nigerian content or local content' programmes. He said those who deliberately twisted his comments to allege that the Federal Government will ban the shooting of films and music videos abroad are being mischievous, and reaffirmed government's commitment to protecting local creative talents and generating employment. "We will not be intimidated or stampeded by anybody," Alhaji Mohammed said. "We are not going to export jobs to other countries and say our economy will grow. Most of the arguments which are being proffered, honestly, are unrealistic. One of them said where in Nigeria are we going to produce our music and our films when there are no studios. What they don't understand is that nobody is going to invest in (building studios) in Nigeria if the law allows you to go and do the same thing outside Nigeria," the Minister said. The Minister pledged the ministry's support for the African Festival of Arts and Culture, to be hosted in Nigeria in November. "Out of this Agenda 2063, Aspiration No. 5 talked about Africa with strong cultural identity, common heritage, values and ethics. Sir, even this aspirations alone if you put it out to the market it can solve the problems that we are facing in Africa," he said. The AU-ECOSOC, which is the AU's platform for the Civil Society, used the opportunity of the courtesy visit to confer the Distinguished Fellowship of African Arts and Culture on the Minister. The school children, ITRealms gathered were released after 65 days at about 3.30pm in Aboto Creek at Ilaje LGA Ondo State in a joint effort of the Nigeria Police, the Lagos State Government and Ondo State Government, after over . 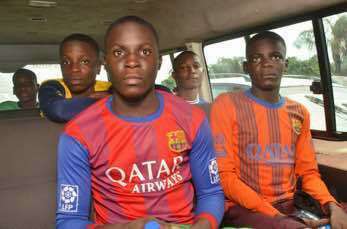 ITRealms recalls that a few days ago, the Lagos State Government (LASG) had demanded an unconditional release of the students from their abductors. The Deputy Governor of Lagos State, Dr. Idiat Oluranti Adebule, commended the security agencies especially the Police and Department of State Security (DSS). According to the Lagos State Commissioner for Information and Strategy, Mr. Steve Ayorinde, the boys were released Friday, July 28 after spending 65 days in the jungle just as the Lagos State Government has expressed excitement over the release of six students abducted May 25, 2017 in their school premises. Ayorinde congratulated the parents of students and all concerned stakeholders over the development, stressing the students would undergo series of medical tests and trauma therapy before they are reunited with their families. “This is a welcome development and the State Government has always believed that the students would be released unhurt. The news of their release is therefore a confirmation of that belief and we are glad that they would be reuniting with their families,” he said. Ayorinde said the State Government remains resolute in its commitment to ensure the safety of lives and property of residents in the State and has already beefed up security in schools to prevent a re-occurrence. “This Government has already taken giant steps to secure all our schools especially those in the suburbs and riverine areas and we are confident that the steps taken so far will go a long way in nipping a repeat of such in the bud,” he said, quoting Gov. Ambode as commending the efforts of security agencies who worked tirelessly to ensure the safe release and return of the students. Barely four months after the death of the founder of Omatek Computers, Mrs. Florence Seriki, a bank has taken over the company property, thereby bringing to a halt the sad tale of a dream of another Small Medium Enterprise (SMS) in Nigeria. REMMY NWEKE in this report for ITRealms Online, wondered if this is not a requiem for Nigerian SMEs? Driving through the former Oregun Road and now Kudirat Abiola Way, Ojota, Lagos, one thing that caught my attention at the Alausa Bus-Stop, was the notice of take over of Omatek Ventures Plc, the parent company of Omatek Computers Limited, the Solar energy subsidiary, among others; I have to turn at the next available route, parked and walked to the entrance of what has become the headquarters of Omatek. Omatek prides itself as a Nigeria SME and the first factory to locally assemble computer cases, speakers, keyboards and mouse, in other words, computer systems and notebooks with a good number of network for other system builders and resellers across Africa. The takeover news, ITRealms recalled was initially in the air, a year ago and precisely in May, 2016, when it was gathered First Bank of Nigeria (FBN) Limited filed a wind-up petition against Omatek, seeking recovery of a loan worth N838,337,562.69, granted the firm, two years earlier in 2014. 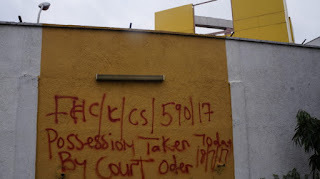 According to the petition at Federal High Court, Lagos, the bank counsel, Mr Ade Oyebanji had alleged that Omatek Computers, between May 20, 2014 and November 12, 2015, applied for and was granted various type of loans in the sum of N743,224,440, supported with personal guarantee of then Managing Director, Mrs. Seriki who also is an alter ego of the company, in addition to corporate guarantees from two sister companies, namely Omatek Ventures Plc and Omatek Ventures Distribution Limited. 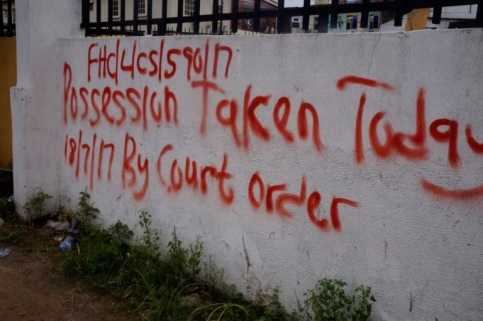 Although Omatek initially objected to the petition via its counsel, Professor Taiwo Osipitan, a Senior Advocate of Nigeria (SAN), urging the court to dismiss the petition on the ground that it was incompetent and also contended that it did not comply with company winding up rules, because as at the time of filing the petition, the tenor of the loan had not expired. Eventually the case went on and gave birth to the takeover by the Bank of Industry (BoI) on July 18, 2017, now accumulated to the tune of N838,337,562.69. As at the time of filing this report, ITRealms reports, all Omatek Computers signpost at the promises have been removed, as security officer on site was quick to reveal that employees ever since have been barred from entry into the company premise. Also, ITRealms gathered that earlier in July, the Nigerian Stock Exchange (NSE) had suspended trading on the shares of Omatek Ventures over failure to submit its account statements and operational reports as required. Obviously reacting to the bank’s wind-up petition that broke the camel back, late Mrs. Seriki, berated the banks on their inability to understand the difficulties of SMEs in trying to grow and entrench their businesses, mostly when loan is involved. On probable secrets she may have adopted on managing bank loans, Seriki had noted that they work very hard and believe in production of standard products, in addition to having credibility, which is critical, but lamented that hitherto, Nigerian bank policies messed her company up at a time, leading to sack of so many of workers. Hence, she said they don’t know the ripple effects of some of their policies. “Then, taking loan from banks is a major challenge. Sometimes, the banks thought we were fighting them, but in actual sense, we were not fighting anyone; we were only trying to explain our line of business to them,” she declared. On some of the harsh business decisions she has taken to move Omatek forward, Seriki pointed out that if she had a choice, borrowing from Nigerian banks will be a last resort, explaining that on three occasions, they have threatened Omatek over a loan. Prophesying that “Instead of them to work with us to see how to get their money back, the only thing I saw on the wall was how to take over our company.” She lamented, Nigerian banks have to understand that business is deeper than what they think. For an industry observers, its alarming how Nigerian banks like taking over businesses entrepreneurs have laboured to build only for them to allow such effort die naturally without thinking beyond mere take over to recover their fund or better seen as loan. It took a question from an industry observer, Otunba Ebee, at a Sunday roundtable on the state of Omatek now the banks have taken over, perturbed by the thinking that even government should have done something. Reminiscing on the situation, Ogbuefi Machi, another industry observer, lamented “It's very unfortunate how bank loans kill SMEs in this country.” Yet another observer, Mallam Isaka asked since they took over the company, will it not be in the best interest of the country, the business and even employees, to introduce their own management team instead of wasting the company with attendant job loss, without a blink. He posited that if the company involved is a ‘Too Big To Fail institution,’ there could be some intervention via the regulators to appoint new management to run and stabilize the place prior to sale to new investors. Omatek's key assets, he noted, is the landed property and warehouses on the land. Whilst Ebee insisted and hoped that something could have been done to keep this Omatek dream alive. Machi was quick to add that despite investing the loan including into solar energy, the returns on investment was not convincing. Thus, debts started piling and banks do not listen to excuses. “It is unfortunate that one of the Information Technology (IT) industry iconic businesses has to go that way. This is a company every ICT stakeholder has benefited from one way or the other in the last two decades,” he further decried. This position, Otunba Ebee could not agree less, postulating that sometimes Small Medium Businesses (SMBs) take up loans without proper insight and planning, hence, “You hear people say the most important thing is just to get the loan first. But you must have a plan on how and period for repayment. Let's be wary of loans, especially bank loans. 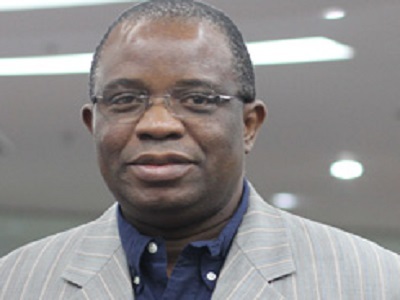 Submitting, Machi believes the CBN and Federal Government (FG) policies in the last two years finally killed Omatek, explaining that loans were taken in Naira but the products were to be sourced from China, which requires converting Naira to Dollar at very exorbitant cost and “when you get to China you convert to Yuan to make purchases. Import duties are so high at the airport and seaports.” Insisting that only if FG had implemented the agreement it signed with China on Remnibi which is the legal tender in mainland China, the Chinese Yuan would have been available to Nigerian banks as one of the forex currencies. “Cost of mobile phones wouldn't have even skyrocketed,” he alleged, contending that as at time of filing this report, One Chinese Yuan is not more than N40, but Dollar is now N370. Grieving that Omatek is taken over via bank loan, noting that every day he passes in front of the company premises, he is filled with nostalgia. For Isaka, he maintained that although the loan went awry, is not enough to take over a promising enterprise like Omatek for the sake of takeover. Positing that there are other assets beyond the landed property which he thinks the bank should also be concerned about. Wondering if it should not have been more beneficial to have a management team takeover the remains of the company, and try to run it back into profitability. “So that instead of job loss, we have more investment” Mallam Isaka insisted, just like was lately done to Arik Air or even Etisalat among others. He called on the National Information Technology Development Agency (NITDA) to do something as respite for Omatek and likes before more SMEs find themselves in the Omatek shoe. Arguing if the National Information Technology Development Fund (NITDEF) should not have been used to save the situation? The fifth Africa Domain Names System (DNS) Forum has kicked off Wednesday, in Dar es Salaam, Tanzania, reports ITRealms. The forum, taking place till July 28, 2017, ITRealms reports, follows on the success of previous fora that have taken place in Africa over the past few years - namely (South Africa-2013, Nigeria-2014, Kenya-2015 and Morocco-2016). Organized by the Internet Corporation for Assigned Names and Numbers (ICANN), the Internet Society (ISOC) and Africa Top Level Domains Organization (AFTLD), this year’s Forum is hosted by the Tanzania Network Information Centre (tzNIC). Pierre Dandjinou (ICANN), Michuki Mwangi (ISOC), Ali Hadji Mmadi (AfTLD) and Abibu Rashid Ntahigiye (tzNIC) spoke at the opening ceremony of the event. In line with Africa's growing Internet presence, the Forum will cover and open to discussion various topics from regional domain name industry to Internet security.